A long-term business decision for Ross Island Sand & Gravel was announced Jan. 15 at a meeting of the Teamsters Local 162. 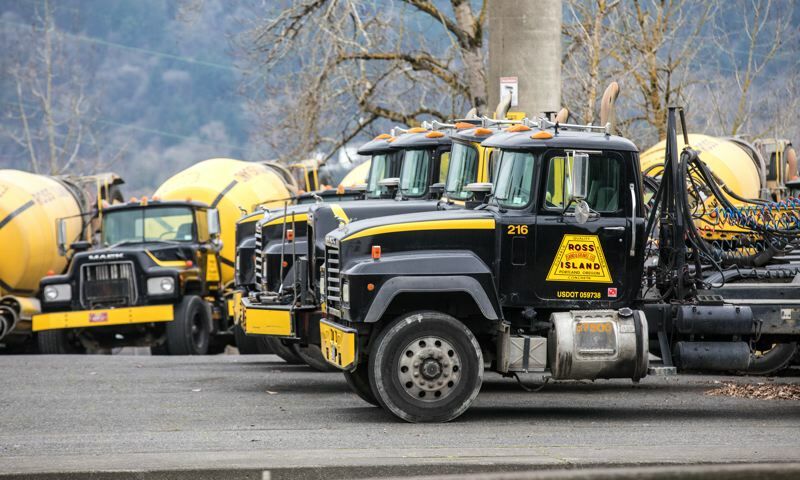 Ross Island Sand & Gravel told its workers Tuesday, Jan. 15, that the company was closing its ready-mix concrete division and laying off around 30 workers, including laborers, operators and drivers of the bright yellow cement mixer trucks. Randall Steed, president and chief operating officer of Ross Island Sand & Gravel, said Wednesday, Jan. 16, that the division closing was a long-term business decision to focus on the company's contract dredging operation. That side of the business works across the western seaboard and has jobs in California, as well as locally along the Columbia River. In addition to dredging, the company "will also put additional focus on loose aggregate sales, that is, selling sand and gravel to other customers, " Steed said. "We'll be selling the assets of the ready-mix concrete division, including the trucks and, in the long term, the concrete batch plants we operate." The closure will not affect other operations at Ross Island, which, like The Times, the Portland Tribune, the Sherwood Gazette and the King City Regal Courier, are owned by the R.B. Pamplin Corp.
Ross Island Sand & Gravel has locations just north of the Ross Island Bridge, under the Fremont Bridge and on North Marine Drive that will be closing. The administrative headquarters at 4315 S.E. McLoughlin Blvd. will remain open. Many workers from the ready-mix concrete division will be absorbed into the dredging and aggregate production businesses.